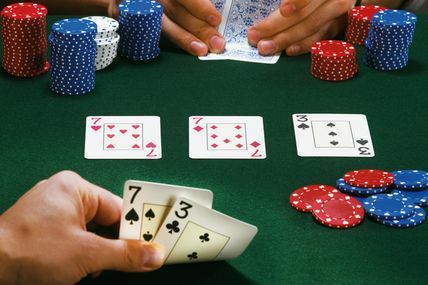 It’s extremely common to play in a multi tabled or large single table tournament and then once the game becomes short-handed (meaning there are less players) there is always a player that instantly becomes a maniac. This person will raise, bet, re-raise, call all-in and often take complete control of the game. Although this player is often raising on poor cards such as a K5 off suit they often seem to ending up winning time and time again. The reason behind this is purely aggression, the key to winning a short handed game is being able to play a solid aggressive game. The thing to be successful in a short hand game you must completely change the way you play the game from earlier on when the tournament might have been might larger, if you don’t play aggressively than other players will do it for you and you will find yourself losing fast. Short hand play is all about lowering your starting hand standards as well as those that you would take to the showdown, more than that though it’s about taking advantage of players who play too conservatively. The thing that the aggressive player realizes is that 2/3 times the flop wont even give you a pair, because of this they can take advantage of those who don’t realize this. The main thing to remember about short-hand is that great short hand players are made not born. The only way to successfully improve your short hand game to a point where you are defeating your opponents of a regular basis you must practice, and do a lot of it.